​Chelsea superstar Eden Hazard has admitted that he finds himself torn between staying and Stamford Bridge, where he remains happy, and making the dream switch to Real Madrid. 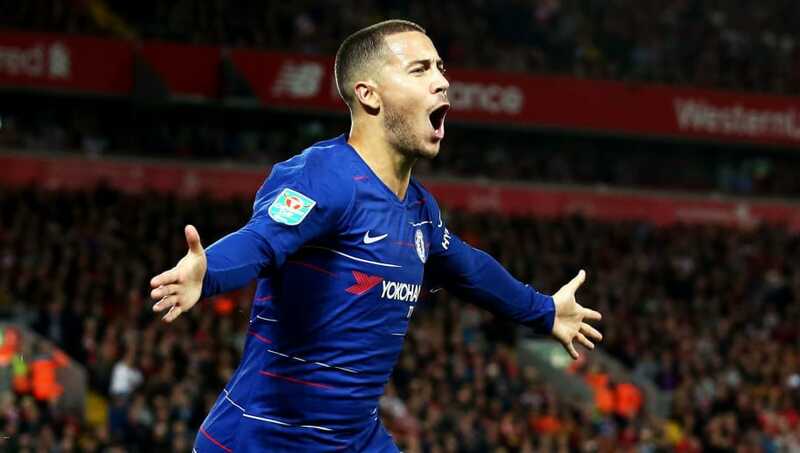 Hazard, who is on course for the best season of his career after scoring his seventh Premier League goal of the campaign on Sunday, told reporters after Chelsea's 3-0 win over Southampton that he changes his mind over wanting to stay or go on a day-to-day basis. One thing is clear for Hazard, though. He does not want follow in the footsteps of Belgium international colleague Thibaut Courtois, who fell out with Chelsea and forced his way to Madrid. "I don't want that (to leave under a cloud like Courtois)," he is quoted as saying by Sky Sports. "I want what's good for me, but I want what's good for the club because the club has given me everything. I don't want to say: 'Yes, I am signing a new contract' and then in the end I don't end up signing. So I will see. Sometimes in my head, I wake up in the morning and think I want to go. "Sometimes I think I want to stay. It is a hard decision. It is my future. I am 27 and I will turn 28 in January," the player explained. There were reports in summer that Hazard had been offered to Real by his father, while the player himself also surprisingly admitted, "After six wonderful years at Chelsea it might be time to discover something different", hinting Real was his 'preferred' destination. Yet it was also reported that Chelsea planned to reject offers for Hazard, who is valued at a world record £200m by the club. That price tag is likely to have put Real off making an approach as the reigning European champions have altered their transfer policy in recent years. Hazard's current contract is due to expire at the end of next season - 2020. By the end of this season he will have only 12 months left and it would put Chelsea in a vulnerable position if he has still not made up his mind over where he wants to play.